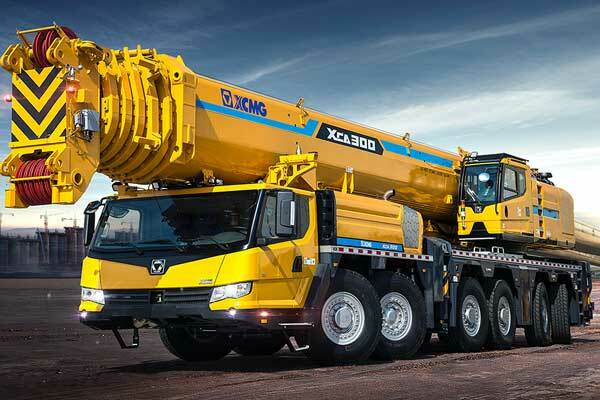 Motorcity, the exclusive distributor of a wide range of commercial and passenger vehicle brands in Bahrain, has announced a partnership with a leading Chinese construction machinery equipment manufacturer - Xuzhou Construction Machinery Group (XCMG). Founded in 1943, XCMG ranks number one in China and number six globally in the construction machinery industry. Recently it was also awarded second place in the International Construction’s Yellow table ‘2018 List of Global Top 10 Crane Manufacturers’, said a statement from the company. Motorcity chairman Waleed Kanoo expressed his delight at signing the new partnership and the potential of heavy industry machinery in Bahrain. “The addition of XCMG will significantly bolster Motorcity’s leading role in building Bahrain’s future projects and helping local companies find their ideal machinery solutions locally,” he added. With an annual export value of over $1.6 billion, XCMG has successfully implemented its ambitious ‘Going Global’ strategy seeing its products sold by 300 global distributors in more than 170 countries and regions. XCMG has integrated technological innovation and development to create a series of products that represent the most advanced technologies in China and around the world. These include a 2,000t all-terrain crane, 4,000t crawler crane, 12t heavy-duty loader (the largest in China), 100m aerial fire truck (the highest in Asia), and fourth-generation intelligent road construction equipment, all of which have been hugely influential in the global construction machinery industry.